The half-breed ogre, Golgren, at last Grand Khan of all his people, faces unpleasant threats. Tthe Knights of Neraka encroach on one border and the minotaur empire crosses another, while the rise of a new and unlikely rival among his own kind augurs the death stroke to all his ambitions...perhaps his very life. Now Golgren must abandon everything to embark on a quest he can trust to no other. 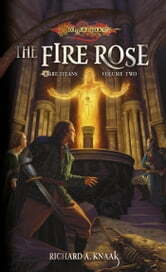 The Fire Rose is a mysterious artifact that could prove the salvation - or destruction - of his growing empire. Safrag, the new master of the Ogre Titans, is just as eager to claim the precious artifact and promote his own might. 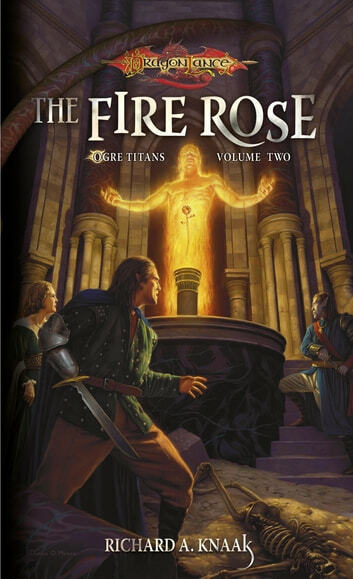 Richard A. Knaak's post-War of Souls trilogy is the follow-up to his New York Times best-selling Minotaur Wars trilogy in the popular Dragonlance series.